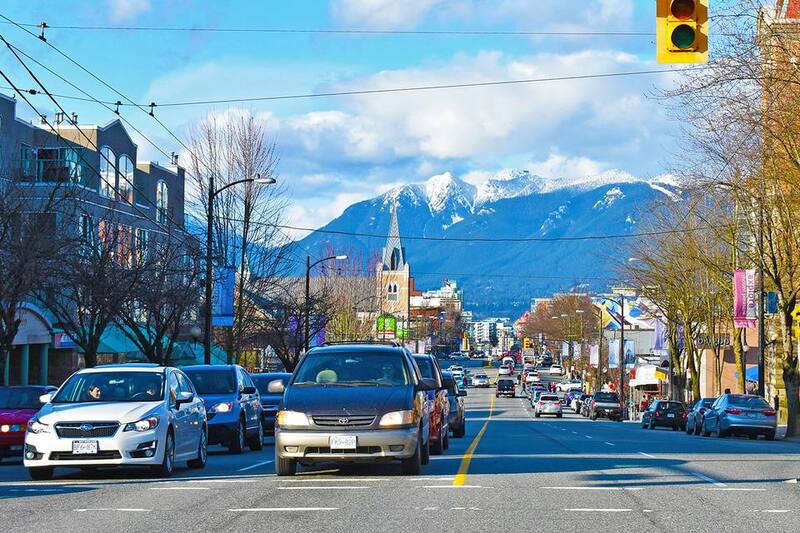 "Mid" Main--Main Street from 20th to 22nd Avenue--is one of Vancouver's premier shopping districts. While the area does include antique and consignment stores, the real reason to visit is the fashion: Mid-Main boutiques are home to some of the best independent Canadian and local fashion in the city. Stylish and fashion-forward, these boutiques offer fashion lovers a chance to buy unique clothes and accessories while supporting local and independent designers. The only other area in Vancouver with as high a concentration of local design talent is Gastown, but Gastown's prices are much higher. Mid-Main is extremely affordable: the clothes are gorgeous and--usually--a true steal. Start your Main Street shopping spree at 20th Avenue and Main, at one of my absolute favorite boutiques: Twigg&Hottie. Be sure to check out the store's in-house lines: We3, Twigg&Hottie, Michael, and Clementine. A few doors south of Twigg&Hottie is the elegant Eugene Choo, one of the few shops in the area that cater to men as well as women. Owned by the awesomely-named Vancouverite Kildare Curtis, Eugene Choo includes international fashion along with choice garments from independent Canadian designers. Unlike most of the boutiques included here, the Barefoot Contessa isn't all about independent design. But no tour of Mid Main Street shopping would be complete without this fun shop: Contessa caters to everyone's inner girlie-girl with loads of dresses in every color and on-trend style, fit for (​almost) every occasion. There's lots of sparkly jewelry, too, and a tiny--but surprisingly interesting--baby/kid section. Cross Main at 22nd and head north to see the shops on the other side of the street. First up: Front & Company. When it comes to consignment shops, Front & Company is one of Vancouver's most popular. Mixing new and used fashion, this enormous store makes all its goods seem fresh and appealing. The buyers here know their trends, and the consignment pieces are high-quality. Along with clothes, shoppers will find vintage jewelry and accessories, too, as well as new pieces. Immediately next door to the clothing side of Front & Company is their gift shop: a store crammed with unusual gifts, home decor, novelty items, things for the baby, porcelain, collectibles, and more. Just north of Front & Company is Umeboshi Shoes, a locally-owned men's and women's shoe store with an international bent: they carry rare, drool-worthy finds from European designers as well as big names like Frye, Camper, and Kenneth Cole. Hungry after a day of shopping on Main Street? Head north to SoMa's Best Restaurants & Bars.